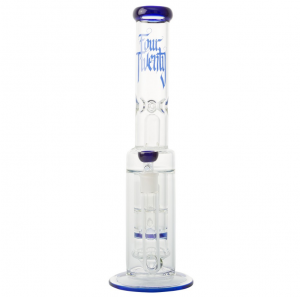 If you want to take your smoking experience to the next level, the tornado bongs are exactly what you are looking for. Imagine the look on everyone’s eyes at the party when the lower chamber begins to fill with water and turn into a liquid tornado with every toke of the bong. As exciting as this sounds, it is so much more compelling close-up and personal. The more wasted you get, the more this amazing flow of spinning water is going to dazzle the eyes. One of the unique features of the tornado bongs is the high-quality composition. The entire device looks like a piece of contemporary art, and the details of the piece are not only visually appealing, they help to allow the water to perform its dance inside the chamber. The most important thing you will need to learn is getting the water level right before it can begin spinning. Once you get that right, you and your party animal friends can enjoy an extremely smooth hit unlike any other. 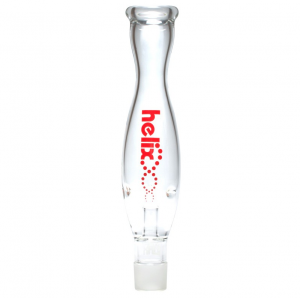 The twisting and the swirling water helps to cool the smoke and avoid any burning in your throat. Each hit provides the cleanest and smoothest drag possible, due in part to the amazing construction of the bong. The tornado bongs are unlike other bongs in design because everything needs to be just perfect so water in the lower bowl can rise to the turbine chamber and produce an amazing tornado of water. The unique body shape of this bong resembles a small turbine engine. The lower bowl holds the water before a hit, but one drag and everything quickly changes. With the drag, the water rushes to the upper chamber and begins spinning both water and smoke in a twisted dance that looks visually stunning. The smoke and water mix is so precise that the percolation is absolutely perfect. The best smoking device to really get the conversation flowing at the next party. The tornado bongs produce one of the cleanest and smoothest hits ever, all due to the smoke storm helix that is beautiful and strong at the same time. The process in which the tornado effect is created begins by adding your buds to the bowl, then igniting and taking a nice long hit. As the buds begin to ignite, the smoke will quickly flow down the stem and into the rumbling lower chamber. The white bubbles will begin racing to the surface creating those puffs of white smoke. Merging smoke squeezes into the tornado tube and is transformed into a vortex that pushes the smoke up and out. Be prepared for an uplifting and euphoric smoking experience unrivaled by other bong types. The tornado bongs produce a smoother hit, is simple to use, easy to clean and provides one of the coolest viewing experiences imaginable. 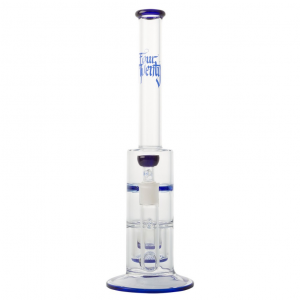 Amazing cooling technology combined with precise blending of water and smoke will easily make this bong the one you turn to every time you need to get that parted started.